Tiny little nothings made to be used and thrown away. So utilitarian most people don’t give them a second thought. But not me. I love matchbooks. And I love collecting them. Ever wonder what you’d look like as a bird? Maybe not, but I have. Living with a wonder-conure named Kiwi, as well as 4 lively chickens, I think about birds a lot of the time. This past weekend my family and I were tooling about Portland (MAINE) when we came upon the funniest portrait ever. My husband was outside yesterday when I heard him shout, “Baby, come quick! There’s a moth out here that looks just like a hummingbird! !” I grabbed my camera and ran to join him. 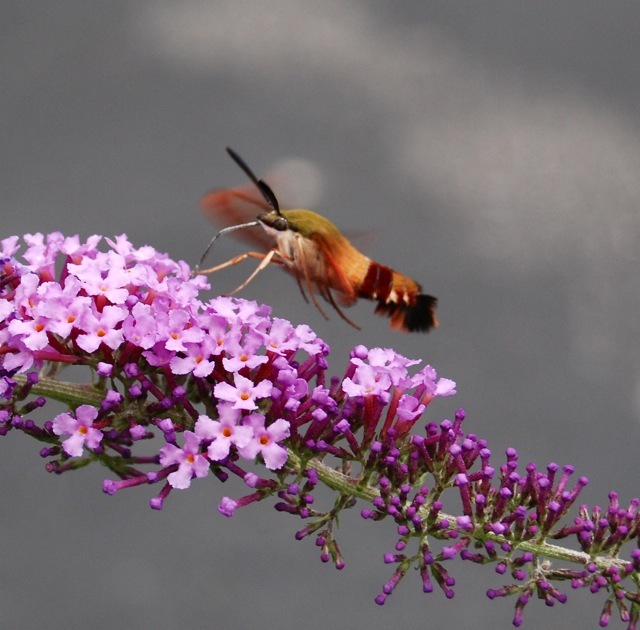 Sure enough, at the side of our driveway, hovering above our butterfly bush, was a moth w/wings so fast they could barely be seen.